So it seems like everyone loves the holidays. The hot apple cider (or hot chocolate, whichever you prefer), the decorations, the family traditions, all of that great stuff. 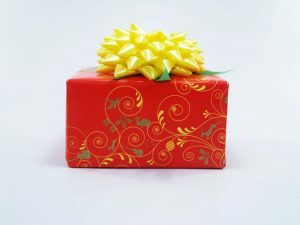 However, with all that happiness and family time, sometimes family drama and hectic scheduling to balance between work, buying gifts, and prepping the house for those “extra dramatic yet nit picky and criticizing” family members, you need to know how to be aware and how to NOT allow it to overwhelm your holiday spirit. No judging on your preference. Whether you like to twerk to Gucci or all throwback R&B, dance has been proven to relieve stress and uplift your spirits. The rhythms of the notes from music release that “feel good” hormone called dopamine as well as the “happy hormone”called serotonin to make a combination of feeling satisfied and relieved. Now I’m not saying to be still and meditate for 30 minutes to an hour. Whatever you can do (i.e. 2 minutes or 5 minutes), meditation teaches you to control your anxiety from the holiday stress, and BE STILL. We live in a society where we are taught (and controlled) to stay busy, which leads to lots of health issues (physically and mentally) that are detrimental to ourselves without us realizing it or catching on to what we are doing to bodies and minds. So sit still, close your eyes and clear away your mind! Aromatherapy is great for your senses and your mind. The best aroma notes range from lavender and rosemary to peppermint and sweet orange. These scents help create calming as well as energetic effects to keep you relaxed and revitalized. Sometimes a great scream is best. Now I wouldn’t recommend doing this in public. Behind closed doors, by yourself is best. When we hold in our anger from that nagging cousin who complains about everything, it literally produces a raging ball of emotions that are needed to be released. So let it out! If you do not want to scare the living daylights out of your neighbors, scream into a pillow (highly recommended). So I’m hoping these tips can be put to good use. Remember, taking care of your temple is extremely important. Holiday stress is NOTHING to play with and neither is your health.